Resolved: it’s possible to appreciate something’s looks, but not want to touch it with a 10-foot pole. Think Mt. Everest. Or … Siberian tigers. 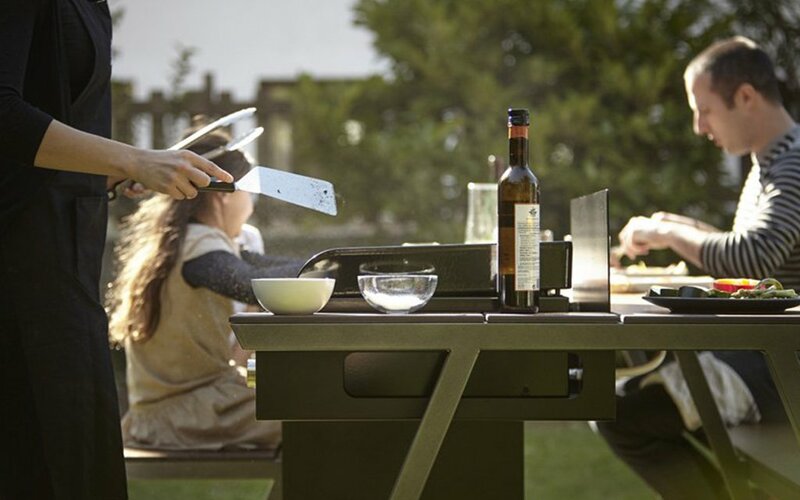 It’s also how we feel about Piknik, a concept Iratzoki Lizaso just created for Forge Adour, a French plancha-style grill maker. 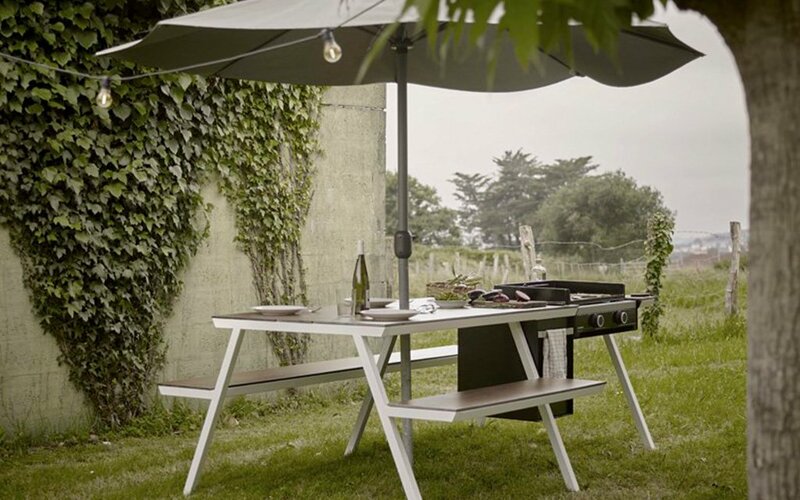 The Basque Country designers created an outdoor dining table that essentially replaces half of one bench with a plancha grill and storage for grilling equipment, spices and sauces. 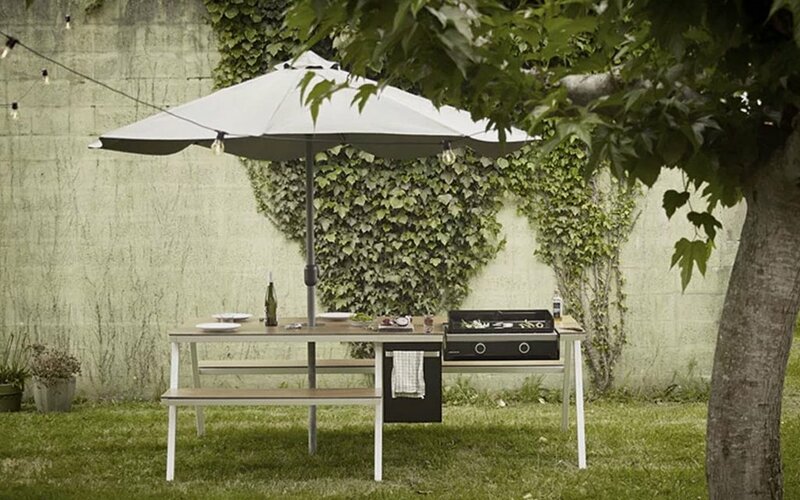 The rest of the table comprises wood and metal in muted tones, with a slot leftover for an umbrella. It’s imaginatively rendered, nice to look at and wildly unnecessary. Look at the seat just to the left of or adjacent the grill. Now pretend you’re sitting in one of those two seats, directly across from the grill as it throws off heat and clouds of smoke. Picnic tables are supposed to be where you wait for the food. You know, down a couple pre-prandial drinks, shoot the sh*t, maybe start a viking chant. 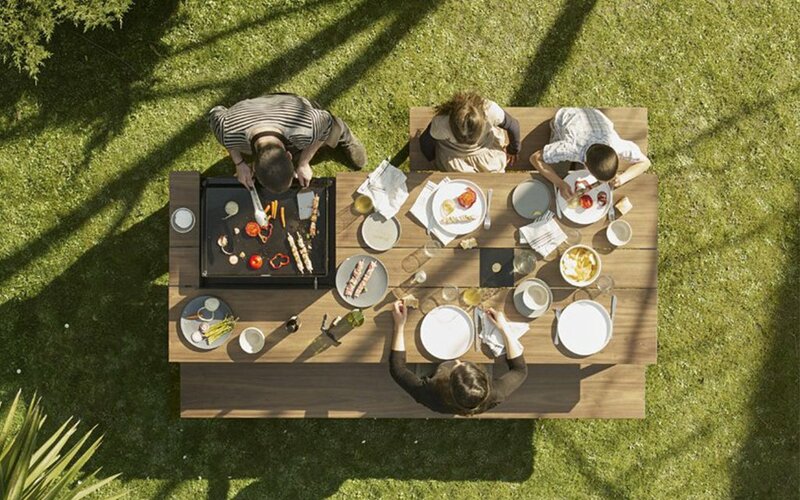 Let the host stress about the meal in the kitchen, or over by the grill, where he/she belongs. This table would place the hysteria of crafting a meal for a sh*t-ton of people front and center. It strips the grillmaster of his sanctum, and turns the house cook into a Benihana’s busboy. 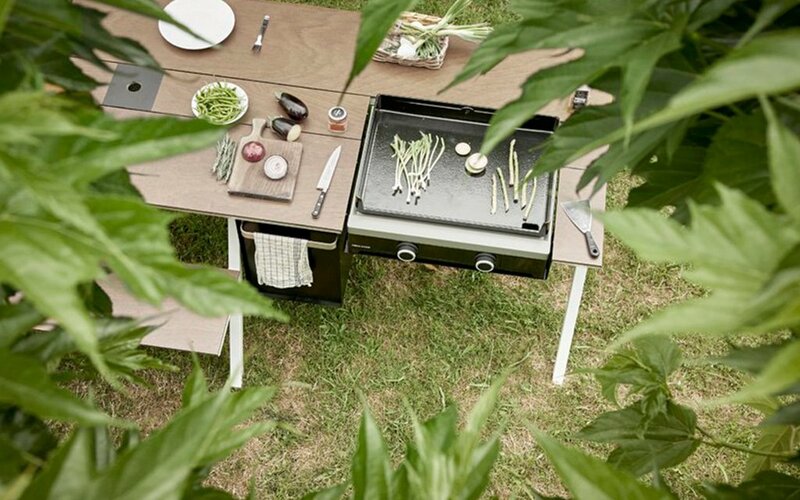 Not to mention, if you want to cook anything meatier than asparagus on that grill-top, isn’t the smoke going to collide straight into the underbelly of the umbrella? May this handsome, frivolous concept … remain a handsome, frivolous concept.